Mr.Children or Misuchiru as they are known to their fans is a famous Japanese rock band group formed in 1989 by Kazutoshi Sakurai, Kenichi Tahara, Keisuke Nakagawa, and Hideya Suzuki. 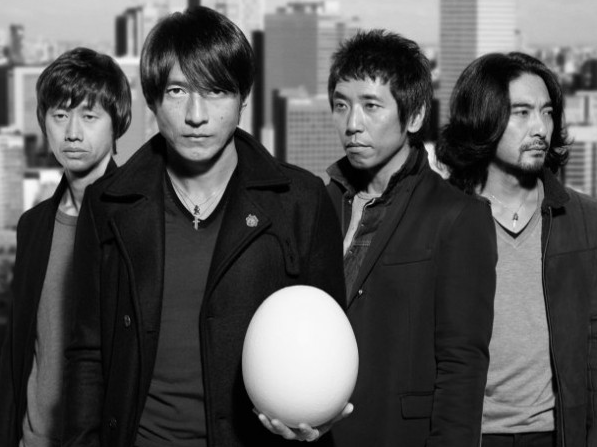 Mr.Children is one of the most popular bands in Japan. They made their major debut in 1992 with the release of their first album, “EVERYTHING”, but it wasn’t until one of their singles was used as a drama theme song, like their fourth single “Cross Road”, that they started getting noticed. They got their big break in 1994 with the release of their fifth single, “innocent world”, which made record sales and earned the Japan Record Award in 1994. Their fourth album, “Atomic Heart”, which was released in the same year, is still their top selling album to date. Since then, all their singles have been number one hits in the Oricon charts like “Tomorrow never knows” and “Namonaki-uta”, and many of them became million sellers, and they’ve produced other noteworthy albums. Their sound is essentially a blend of light pop and classic rock. But due to the band’s inclination to experiment with various music styles, their sound is constantly evolving. They have delved into various types of rock as well as jazz, blues, folk, country, and dance. Despite this constant change, however, their music has progressed successfully, proving them to be a versatile band that can last.